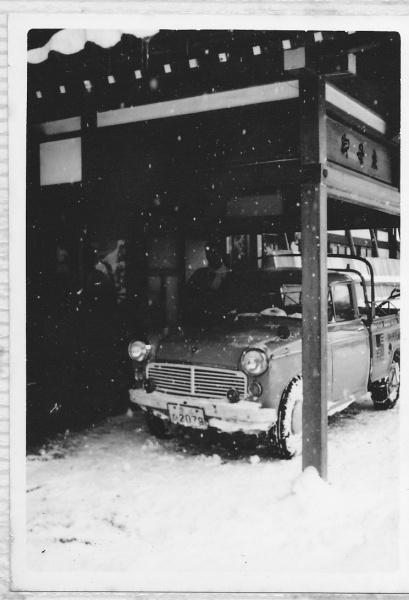 Our inn, which used to be a house of a lumber dealer, was converted to an inn when Miboro Dam was being built in Showa 27 of the Japanese calendar (1952 in the Western calendar). 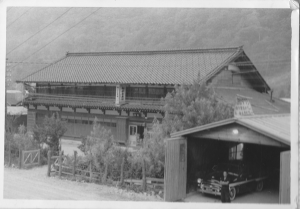 It has been a family run Japanese inn for generations since. At that time, Japan’s economy was moving towards revitalization, and the power supply was indispensable for further economic development. In addition, the demand and supply of electric power was remarkably disproportional due to the absolute shortage of power generation facilities, and the demand for electricity in the private sector was plagued by frequent blackouts due to chronic electricity shortages. The steady supply of electricity became an urgent issue both in the development of Japan’s economy and in maintaining security, and the immediate power development was also a national policy. 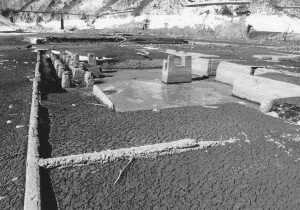 This was how Miboro Dam which was said to be the largest rock-filed dam in the East was completed, and we started our family business with the relocated house.